There is always plenty of doom and gloom wherever you look. Sometimes the morning news makes valiant efforts to stress the nice things about the day – such as spring blossoms but often the focus is on pollen and the associated allergies (welcome to my world). On the other hand there are many people making significant and beneficial changes to people’s lives. I came across one such person at the Triangle BABCNC Tra’Li Networking Social where I met Vivienne Carosso who is a key member of the Wags4Tags team. Basically Wags4tags unites psychologically and emotionally impaired Veterans across North Carolina with trained Companion, Emotional Support Dogs rescued from kill shelters so the two can heal in unconditional love, trust and loyalty. 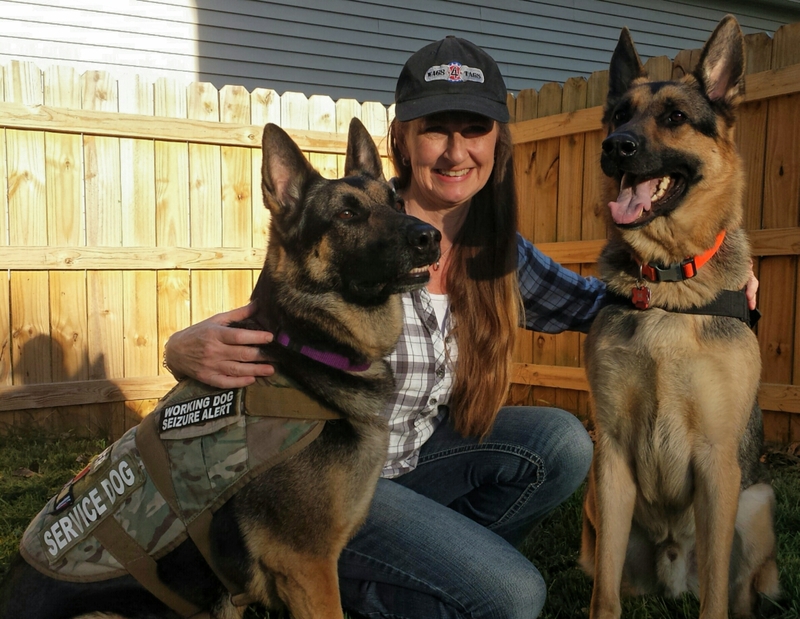 They are coming up to their 50th pairing so all credit to their President and Founder Ronnie Sadoski Trained animal companionship can help Veterans in their readjustment to civilian life by easing their symptoms and providing assistance, unconditional love, trust and loyalty. There are many ways to support this enterprise. It takes up to $2,000 per dog to prepare it for his/her new Veteran-owner. This includes, but is not limited to rescue/adoption fees, and cost to spay/neuter, vaccinate, treat for heartworms, take care of other medical issues (such as eye infections, flea infections), micro chip, feed, foster/train, certify. None of these costs are passed on to the Veteran. The contact for Wags4tags is WAGS4TAGSNC@gmail.com Wags4Tags is entirely volunteer-based, and all donations stay in North Carolina. 98% of all donations go directly to rescuing, vetting, training, and matching a dog to his or her new Veteran, including any and all supplies the Veteran will need.